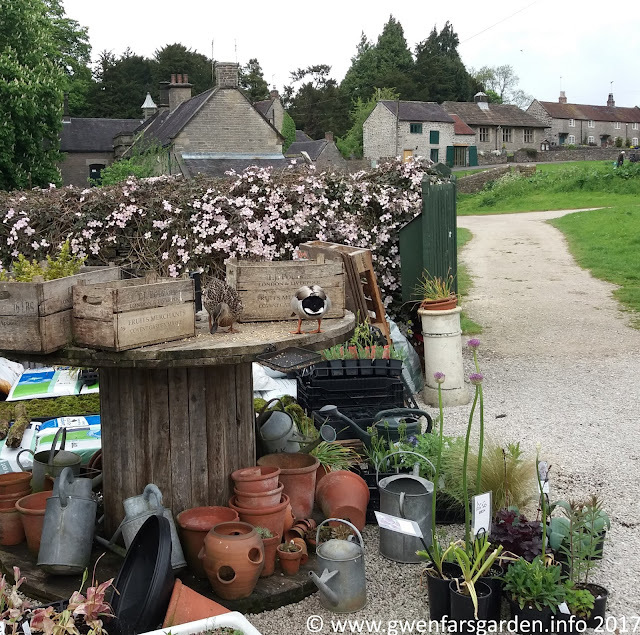 On our recent visit to Dovedale, we also had a little look at Tissington Nursery. I mean, it was there, and it would be rude not to go. The nursery is housed in Tissington estate's walled Old Kitchen Gardens. It is a small family-run nursery, and whilst there I met Mairi, who appeared to be quite knowledgeable about the hardy perennials that she grows. Ducks feeding. I'm guessing they would be useful for slug patrol too. 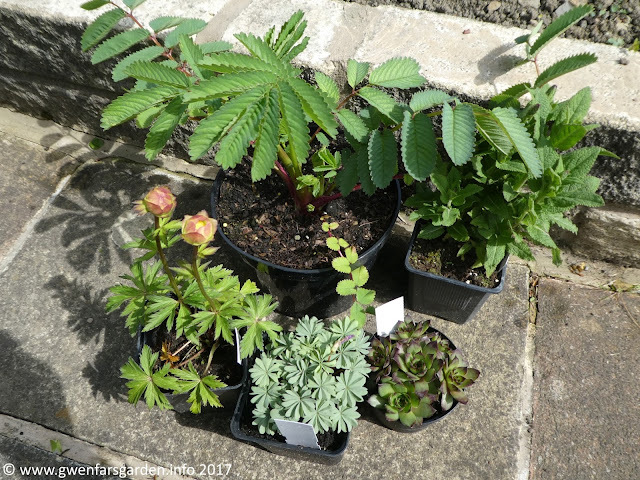 I obtained some useful advice on growing Sanguisorba in pots (a large one). I'd been warned off trying them in pots because they do like space, but Mairi said if it's for a year or so it will be ok. I thought I'd risk it, as hopefully by this time next year we will have moved into our own place. I've been wanting to grow Sanguisorba for a while, and Mairi chose a handsome Sanguisorba hakusanensis 'Lilac Squirrel' that has flower heads just developing, for me. My small collection of plants. The largest plant is the Sanguisorba. 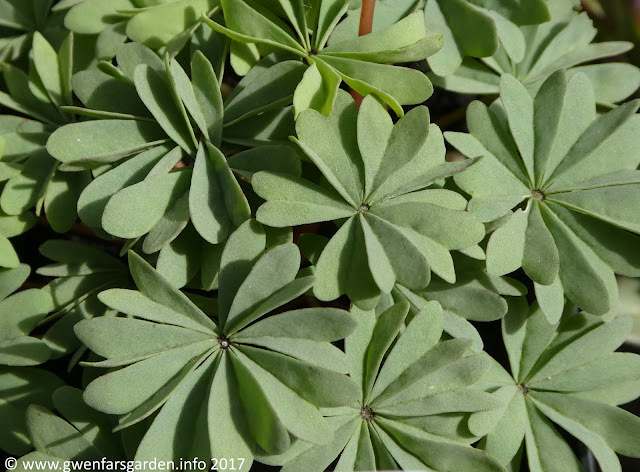 The nursery has an interesting selection of plants, including a number of Sempervivums (I chose Sempervivum Triste) and a delightful Oxalis, Oxalis adenophylla. This has pretty pink flowers, but it was the foliage that won me over. I also picked up Salvia nemorosa 'Ostfriesland', and we chose this lovely alpine planter below as a memory for our 20th Anniversary. The nursery was selling these planters for a retiree who was trying to make a little extra income to supplement his pension. I won't go into a political rant about how pensioners shouldn't to have to find ways to make ends meet... 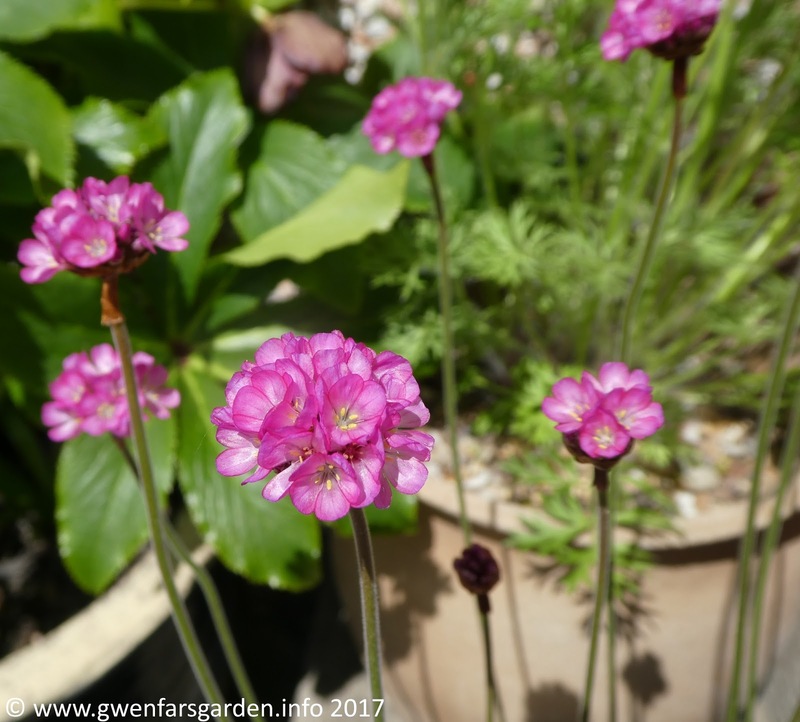 I will say that he has created some gorgeous alpine planters and I expect he will do well out of selling these via the nursery. Not sure what type of Ameria this is, but, pretty! The nursery is currently 50% peat free. Mairi is on the way to converting to 100% peat free, hopefully by next year. She likes Sylva Grow peat free compost, as do I. They helpfully looked after our plants for us so we didn't have to leave them in the car overnight. Over dinner we found ourselves discussing the Trollius we saw, and decided it also needed to be purchased, so we picked that up the next day, along with the rest of the plants. 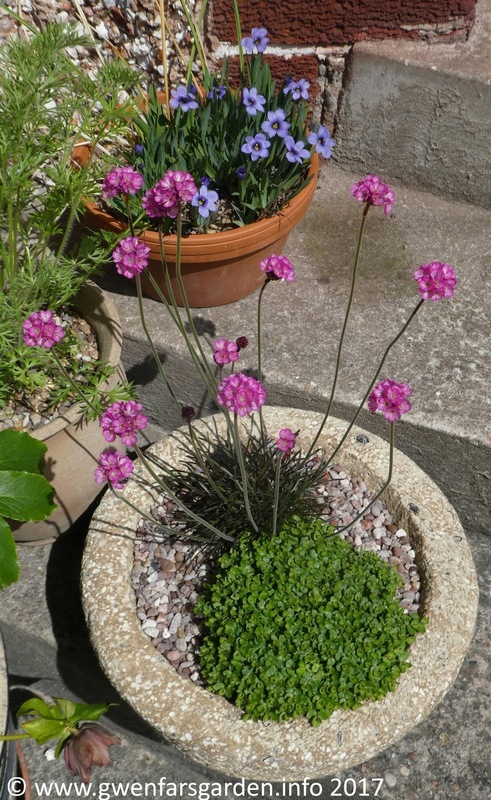 I was advised that it likes damp soil, so I'll keep an eye on watering when I pot it up. 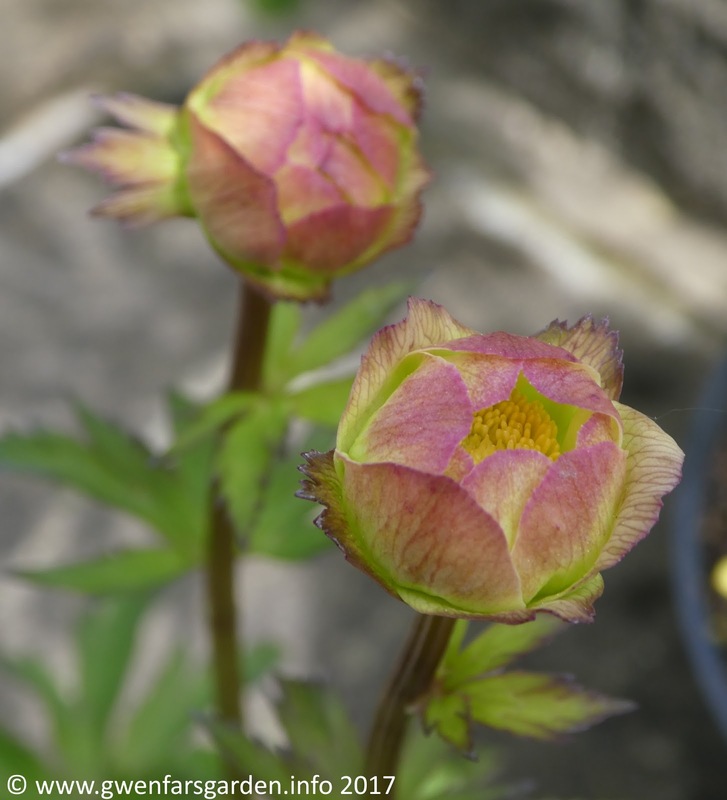 Trollius × cultorum 'Alabaster', which turns yellow as the flowerheads open. The nursery/Mairi will be attending RHS Chatsworth Flower Show in June, so do visit her stand in the floral pavilion. Otherwise, the nursery is open daily from March to the end of September, 11am to 5pm. 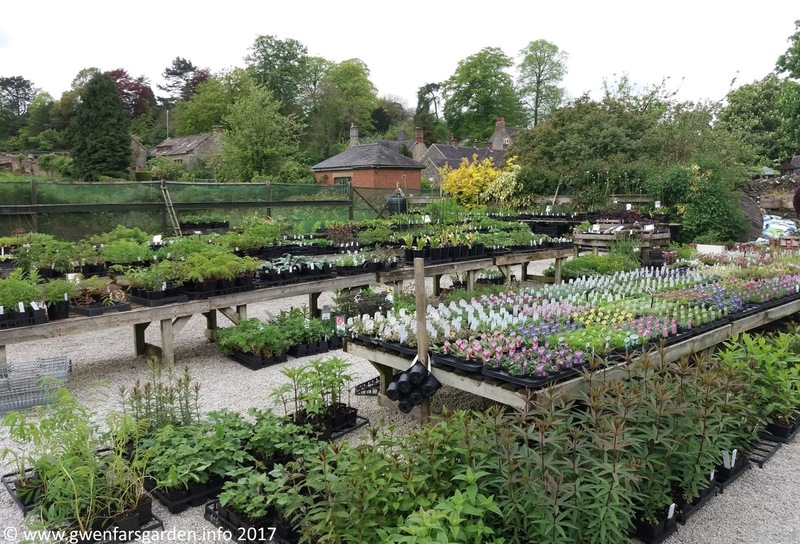 Tissington Nursery is a delightful small nursery in which a lot of perennial gems can be found. Beautiful plants and helpful advice, what more could you ask for in a plant nursery?! I suspect I'll be dropping in again (and again) when I'm in that part of the Peak. Ooh, your 'Alabaster' is a lot redder than mine! I didn't know about the damp soil either so thank you for that. Happy Anniversary!